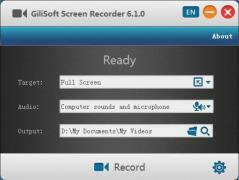 Free Screen Recorder for Windows 10 is a straightforward screen recording tool that can capture screen video, computer sounds and microphone sound simultaneously. You can use this simple application to easily record your desktop for various purposes such as creating demos, tutorials, providing tech support and recording your gaming sessions. Free Screen Recorder for Windows 10 has a clean and easy to use layout, plus it supports multiple languages, specifically English, German, French, Portuguese and Hungarian. The ultimate DLNA home media server software.